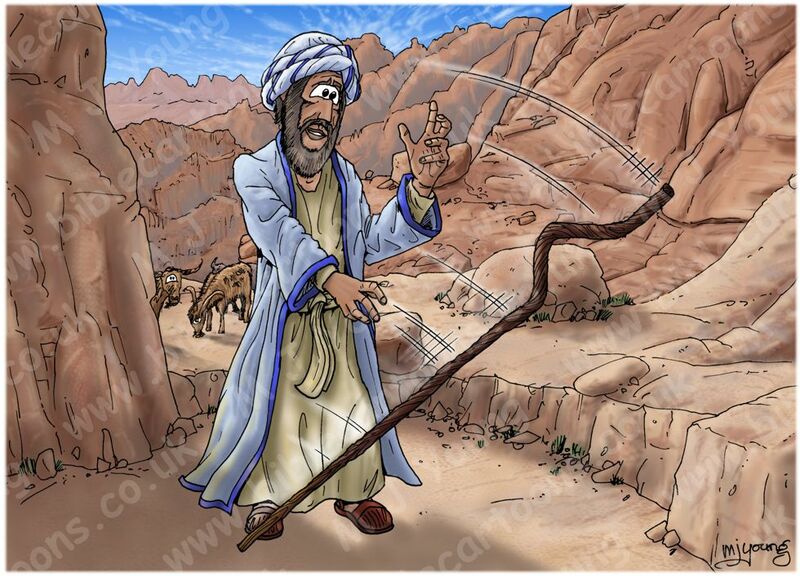 3 The Lord said, “Throw it on the ground.” Moses threw it on the ground and it became a snake, and he ran from it. As in Exodus 04 – Burning Bush – Scene 02, I have set the time in the late afternoon. This scene is looking back from the burning bush ground, towards the rock where Moses was sitting in scene Exodus 03 – Burning Bush – Scene 01 – Wonder. You can see that rock behind the dropping wooden staff, with grass around its base. 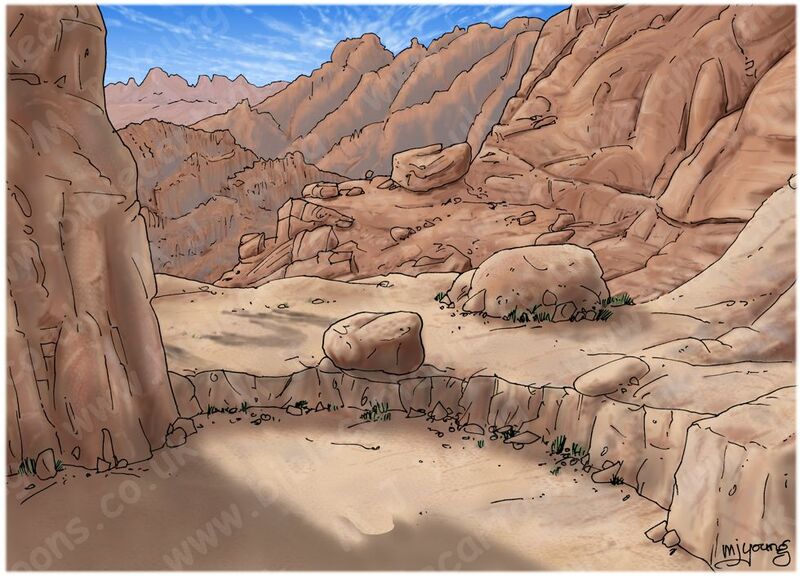 I used some photographs of Mount Sinai in Egypt to give me some ideas for the design of the landscape.